UPDATE 15 JUNE 2015: Truly Curry Rice has moved to 153 Kampong Ampat, Jun Jie Industrial Building, #07-05, Singapore 326328. They have taken over a whole coffeeshop, and will also be testing out new concepts! Young hawkers - we can only salute what they are doing. There are not many youngsters willing to continue our street food heritage, and those who do often cite immense difficulties. Many of them quit. But I was heartened to find two 20-somethings - Joel Chia and Deniece Tan - still going strong at their Truly Curry Rice stall at Telok Blangah Drive with as much passion as you could ever imagine. It's not because the going has been easy, or that they have no other jobs to fall back on. It's not even because it's more lucrative than their former banking careers. Why do they do this? I did a more indepth feature on them for Yahoo Makanation and Makansutra. You can read more about them there. Meanwhile, look at the rice so generously drenched with curry. Interestingly, the rice texture is the biggest cooking challenge. Every batch of rice is different, so they have to gauge how much water and cooking time is required to get that perfect fluffy texture and good bite. The curry is actually two curries - a robust chicken one, topped with a tangy assam one to whet the appetite. And you have 17 side dishes to choose from. 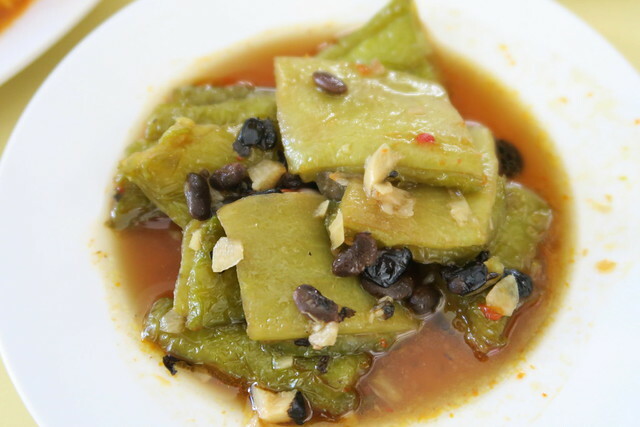 The food tastes like homestyle cooking, nothing too in-your-face, just simple comforting fare. Most dishes are non-greasy, and they use very little MSG. 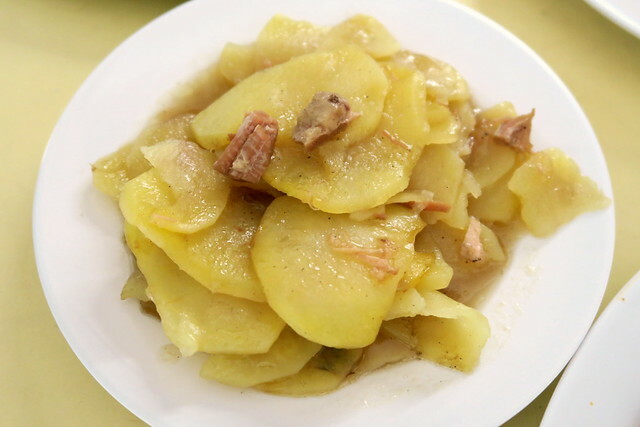 But the one that had me reaching back for more was the sliced potatoes with pork - extremely savoury and moreish. 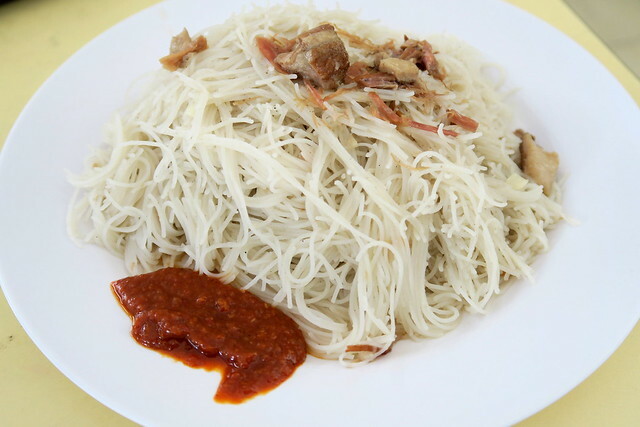 They also recently introduced a stewed pork beehoon for just S$1 - insane with the amount of pork and stock infused into the rice noodles. The side dishes to go with this are only S$0.50, so you can get a really hearty breakfast at S$2 or less. So kudos to Joel (left) and Deniece (right), who are recently joined by Joel's brother Joshua (centre), for their mind-boggling perseverance and hard work waking up at 1am to make sure everyone has a good and affordable breakfast at 6am. They work all through to 5-6pm with washing up the stall. I don't know how they manage to look so fresh. It has to be the magic formula when you're doing what you love. Come read their stories at the links above. And come try their labour of love.